A bundle of phenomenal scenic beauties, Nepal is a place of paradise. Ranging from mighty mountains to subtle hills and grassy plains, Nepal comprises of everything that is there to see in this world. Nepal is a small landlocked country that happens to be one of the places richest in freshwater bodies. It probably has a higher number of heritage sites than cinema theaters. As a matter of fact, you might find it difficult to watch a movie here, but not the mountains. And surprisingly, there are more gods than people as a consequence of which Nepal has a diverse range of cultures and traditions whose existential differences are collectively acknowledged by all. Unlike any place on earth, Nepal is where the most bizarre and yet the most unimaginable events can be witnessed. There is so much to explore in this country and if you happen to be one of those people who love to experience the world from a different point of view, then you are looking at the right place. 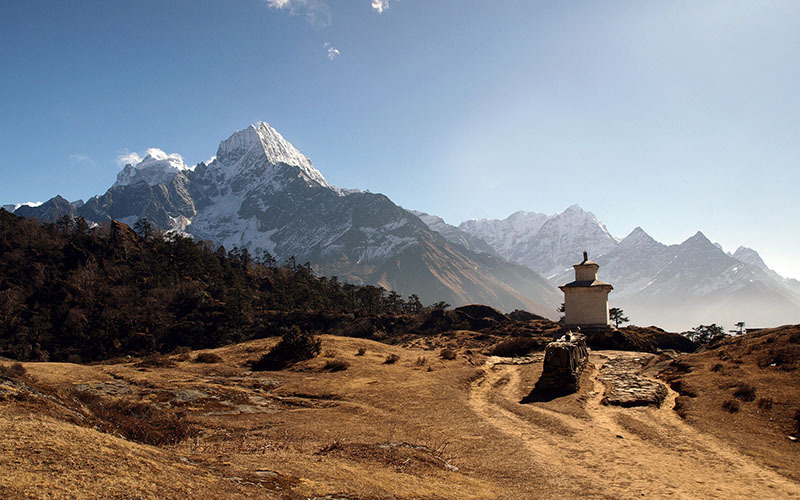 The remarkable Sagarmatha National Park, situated at an elevation of 6000m, stretches over an area of 124,400 hectares. The spectacular view of the mountains, snowy-white glaciers, deep valleys and frozen waterfalls are a few aspects that makes this park worthy of glorification. You will not only get the best view of the highest peak in the world-Mt. Everest, but also several other mountains that stretch along the entire horizon. SNP also happens to be a home to some of the rarest species on earth, such as snow leopard and red panda. As an icing on the cake, there are the tentatively 20 villages that reside within this area. Most of the people residing in these villages are “The Sherpas” popularly known for their unique and well-preserved culture and tradition. The park is a spectacular experience and a perfect blend of culture and nature. Situated in the southern plains of Nepal, Chitwan National Park covers an area of 93,200 hectares, extending over four districts. Established in the year 1973, the park is Nepal’s first National Park. The core area lies in between Narayani (Gandak) and Rapti rivers to the north and the Reu River in the south. 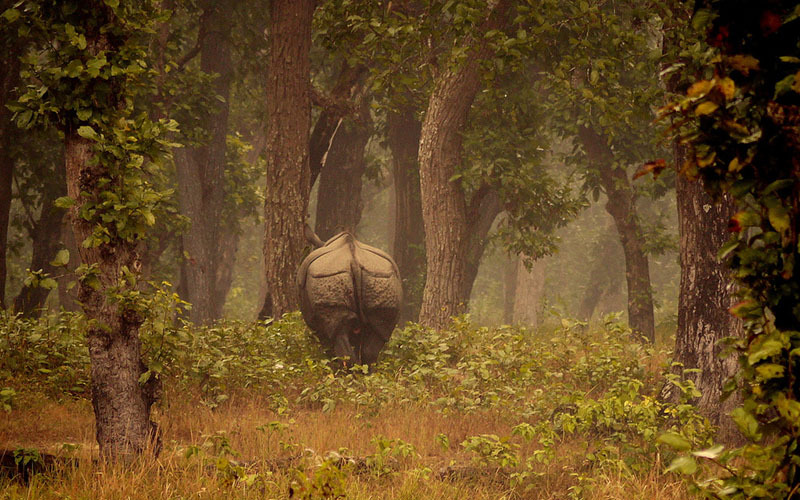 Chitwan National Park contains the second largest population of wildlife inhabitants in the world. It is home to some of the rarest species in the world – the last population of single-horned Asiatic rhinoceros and the Bengal Tiger being the most exquisite ones among them. Being a combination of alluvial flood plains and riverine forest, the region facilitates the growth and survival of several other species. The park harbors 31% of mammals, 61% of birds, 34% of amphibians and reptiles, and 65% of fishes recorded in Nepal. Additionally, the park is famous for having one of the highest concentrations of birds in the world (over 350 species). Jungle safari in Nepal is not restricted in this National Park. One can explore the jungle on foot, jeep or on elephant which happens to be the most popular one among the three options. The Park is a major tourist attraction. Located along the banks of river Bagmati, Pashupatinath Temple is one of the most sacred sites of the Hindus. The temple attracts thousands of Hindu tourists every year. Dedicated to the Hindu god Lord Shiva, Pashupatinath is considered to be a masterpiece of Hindu architecture. The temple is cubic in structure and has four main doors painted in silver. The temple is elaborately decorated. The most beautiful sight is the golden statue of Nandi – Shiva’s bull. Only Hindus can enter the main temple. However, other buildings are open to foreign visitors. The temple is also a site for cremation of dead bodies of all the Hindus in the city. 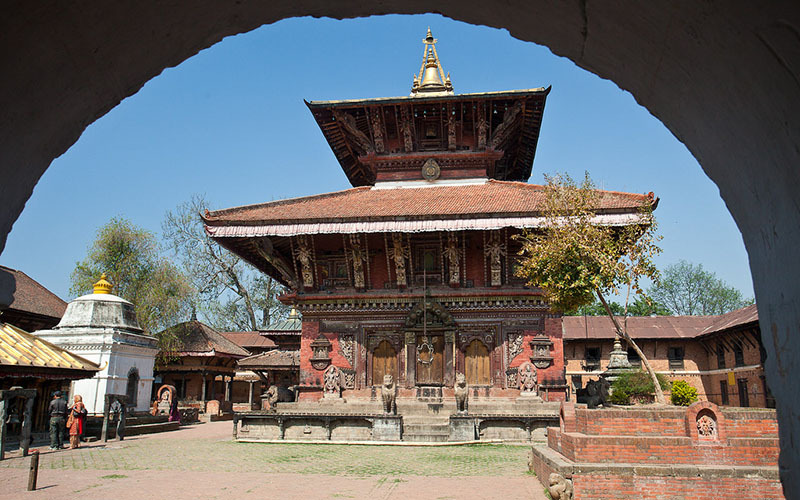 A former royal palace, Hanumandhoka Durbar Square covers an area of about five acres. It consists of ten courtyards. The palace was built in the 16th century and further enlarged in the 17th century. The royal residence shifted in the year 1886 after which the entire palace was turned into a museum and tourist site. A statue of Hanuman (monkey god) is situated at the right side of the entrance to the Palace. Towards the left is a sculpture of Lord Narasimha – an incarnation of Lord Vishnu. 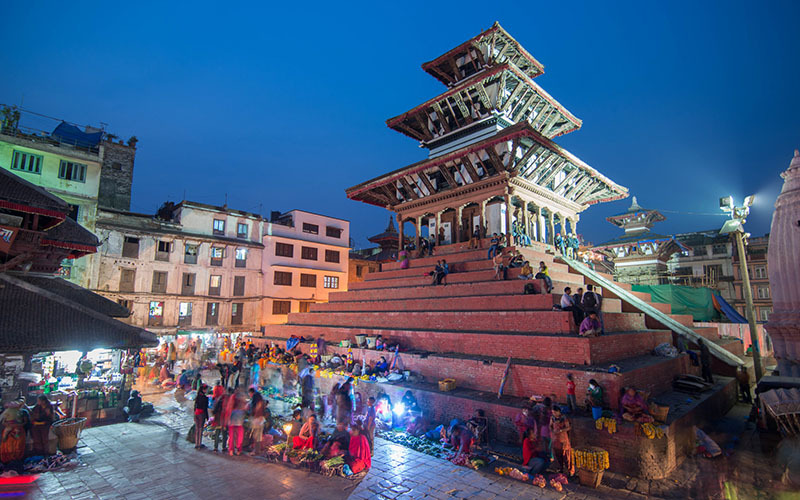 Another spectacular sight is the nine-story, beautifully decorated Basantapur Tower in the Nasal chowk close to the entrance. You can climb this tower to get a better view of the palace premises. On the northeastern corner of the same area, Panch Mukhi Hanuman Temple can be seen. Only the temple priest may enter this temple. The Tribhuwan Museum, built in the 19th century, is the most phenomenal section of the palace. The palace consists of several other interesting sites, each of which reflects the lifestyle and tradition of the ancient monarchs of Nepal. 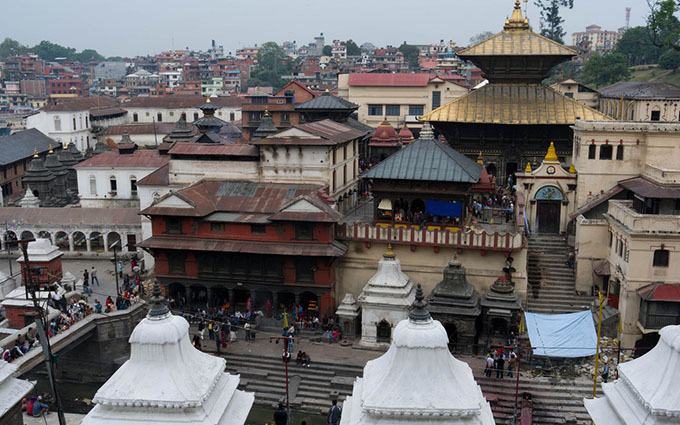 Popularly known for its enchanting heritage, Patan is the oldest city of Kathmandu valley. It is also known as Lalitpur. The city comprises of four stupas at four corners which were built by the famous Emperor Ashoka. The site has several Hindu and Buddhist monuments that have interesting carvings and intricate designs on them. One of the most famous ones among them is the Krishna Temple which has 21 shrines and is entirely built of stone. The former royal palace complex is the center of Patan’s religious and social life. A collection of religious objects are kept on display in a museum here. Hiranya Varna Mahavihar is another impressive golden pagoda dedicated to Lord Buddha. Mahabouddha Temple is yet another Buddhist temple built in a Hindu style. The site is a remarkable example of diminishing lines between two religions and merging them into a magic unaffordable by any other place to create. 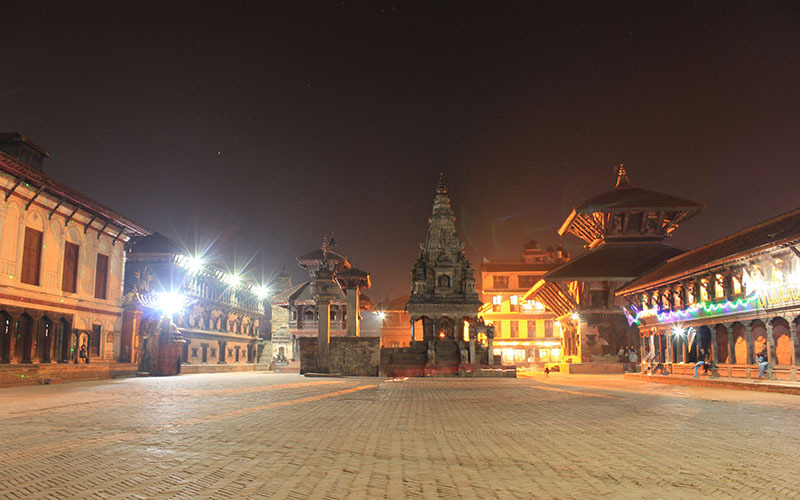 The city of Bhaktapur is a perfect assemblage of medieval art and architecture depicting the ancient history of Nepal. The city is a traditional industry of sculptures, woodcarvings, pagodas and temples. The Golden gate makes up the entrance of the palace. The major attraction of the site is the 55-window Palace which was built in the 15th century AD. The Lion’s gate is another spectacular artifact of the site. Other magnificent pieces of human art and creativity are the Mini Pashupati Temple right in front of the Palace, the Vatsala Temple which holds the dog-barking bell, Nyatapola Temple dedicated to Sidhilaxmi, the tantric goddess of supreme power and success, and the Bhairava Nath Temple. There is so much more to see and experience in this city than words can describe. Although not too far from the capital, the city significantly varies in its architectural layouts, buildings, culture, language and food. It is a museum of all that there is to know and see about Nepal and its history and culture. The Changunarayan temple is situated on top of the Changunarayan hill. 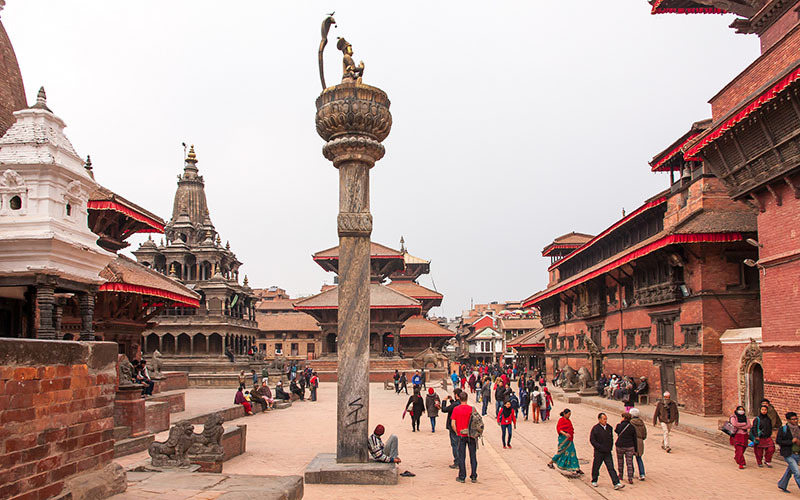 Located at about 4km north from Bhaktapur, the two-story temple is the oldest temple in the Kathmandu valley. Inscribed in the walls of the temple are intricate designs and the ten incarnations of Vishnu and the Tantric Goddess. The other shrines apart from the main temple are dedicated to Lord Shiva, Goddess Kali and Lord Ganesh. It is a popular pilgrim site among the Hindus. The Changunarayan Temple is one of seven structures cited by UNESCO. It is a perfect demonstration of an incredible historical creation. 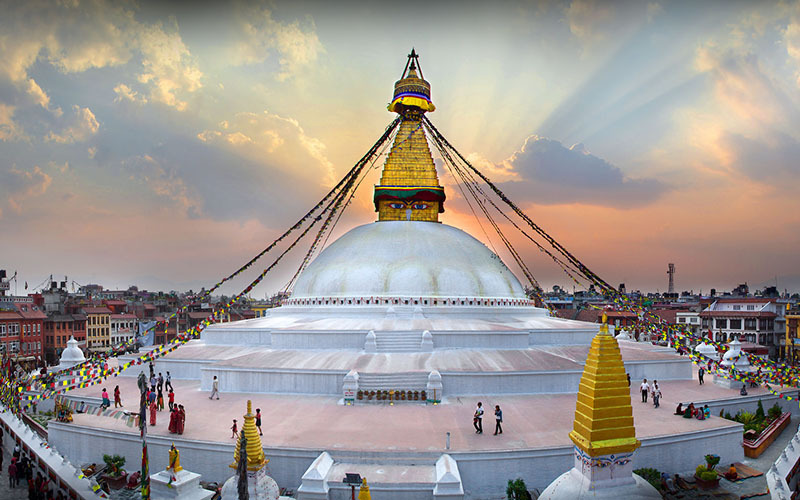 Bouddhanath Stupa is Nepal’s most extraordinary monument. It is the one of the largest stupas in the world and definitely the largest one in Nepal. Encircling an area of about 100 meters, the stupa is purely simple and highly elegant. It rises above 36 meters. Every portion of the monument – the base, dome, harmika, spire and the pinnacle – holds its own religious significance. These represent the five elements. Throughout the streets of Boudhanath, you will find several stores selling Buddhist artifacts, traditional artisans’ workshop and many restaurants serving delicious and authentic Nepali cuisine. 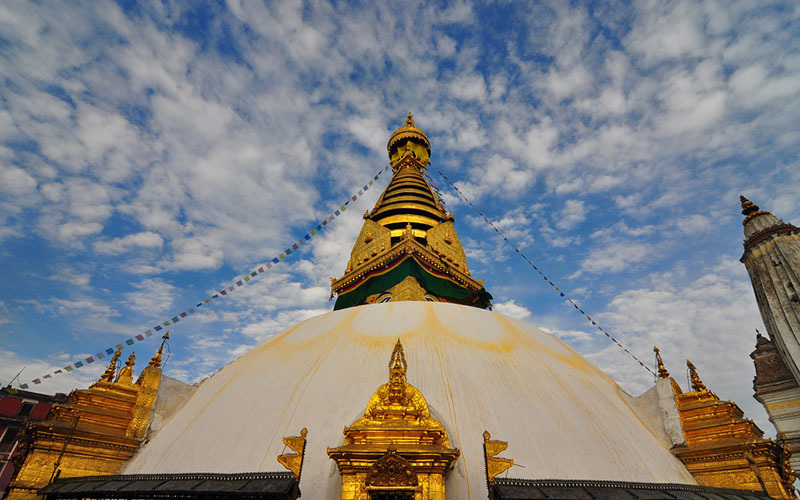 Swayambhunath is one of the most sacred sites within the valley. Built in the 5th century, the monument is an important pilgrim site among the Buddhists. The spherical and inverted dome is glistening white and clearly visible from several distant sites within the valley. Not only the Buddhists but also the Hindus, Vajrayana Buddhists of northern Nepal and Tibet, and the Newari Buddhists of central and southern Nepal visit the stupa for a spiritual experience. The pathway leading to the stupa is uphill and comprises around 365 steps. On each of the four sides of the main stupa, a pair of big eyes symbolizing the omnipresent almighty is painted. Above and between each pair of eyes is another eye, commonly known as the third eye. This signifies the wisdom that lies within. 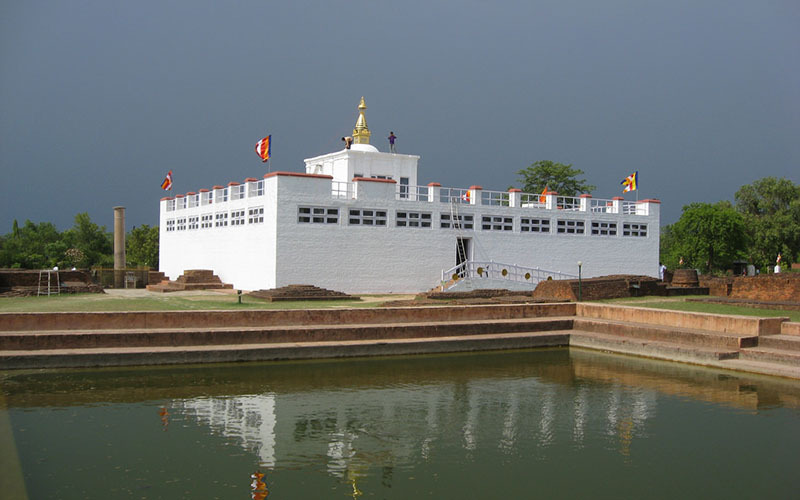 Lumbini, located in the southern plains of Nepal, is the birthplace of Lord Buddha. This pilgrim site attracts not only Buddhists but also other tourists from all over the world. It has been the most important pilgrim site of the Buddhists since time unmemorable. The complex comprises the Shakya Tank built in the 3rd century BC and the famous Ashoka pillar made out of sandstone. The pillar has Pali inscription in Brahmi script. There are several other Buddhist monasteries and stupas that were built within the 3rd and 15th century BC. The site is in continuous process of development and protection. Lumbini makes up the crown of Nepal by standing as an evidence of the place in which one of the greatest souls that has ever lived was born. Nepal is too profound to be summarized and concluded by the glorious but few heritage sites that are listed above. A lot more about the country is not something that can be written about. Most of it has to be known through experience. This post is a guestpost written by Raushan Jaiswal. Raushan is from Nepal, a popular travel destination between China and India. He is a traveller and a blogger for trekroute.com. He has travelled to several places in Nepal. His favourite place so far has been the Annapurna region, which is considered by many one of the best trekking destinations in the world. No, we haven’t. And since this is a guest post, we haven’t been to Nepal either. One day maybe! Oh, I got it. Thanks! You’re welcome someday! Thank you! I personally think it’s our best guestpost so far! I never miss to read Raushan’s article. Well written, i got new info about Nepal’s world heritage sites. Really appreciate it for sharing knowledge. Great job. Your blog is awesome. Keep posting. Reading your blog it seems exciting. Really appreciate it for your great contribution for writing this blog. One of the most versatile blog that I have ever seen. It sounds quite interesting to read this blog. Whenever I feel bored.